The operator of one of America’s top tourist attractions is now in charge of Boston’s busiest transit hub. 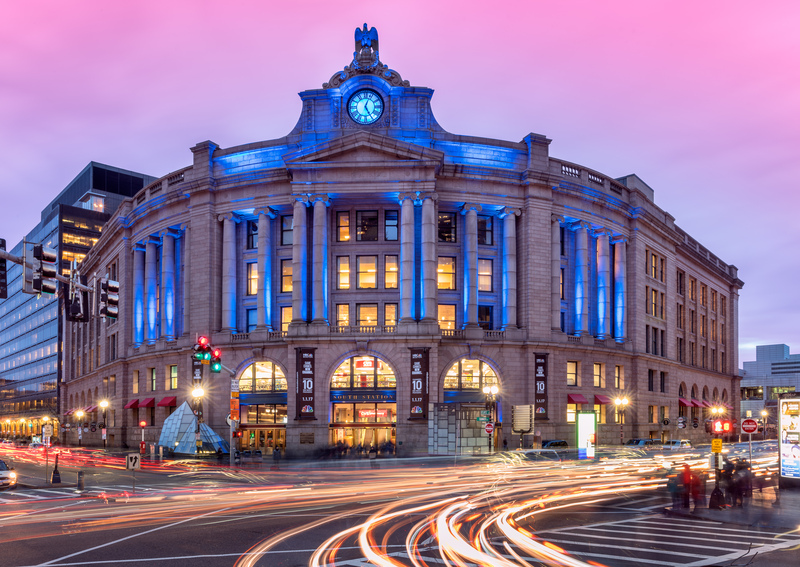 Faneuil Hall operator Ashkenazy Acquisition Corp. announced Tuesday it had acquired the 98-year leasehold for South Station’s concourse and upstairs office space. Blackstone Group had put the space on the market earlier this year. A representative with AAC declined to disclose a sale price, but the Boston Business Journal reports it was around $120M. South Station is one of Boston’s most-visited landmarks. Almost 24 million passengers go through the hub each year, and 75,000 Amtrak and MBTA riders pass through the station daily. There is more than 59K SF of retail space in the building and 117K SF of office space. AAC has operated Faneuil Hall Marketplace for the last six years. It launched a restoration campaign to enhance the visitor experience while also attracting more locals to the complex, one of America’s busiest tourist attractions. Along with beefing up Faneuil’s events calendar, it has worked to lure a new mix of restaurants and retailers to the downtown property. It also intends to make significant capital improvements like glass canopies to give seating areas a more open look and extend the outdoor seating season. The South Station addition is not AAC’s first transit play. It paid $160M in 2007 to control the office and retail space at Washington, D.C.’s Union Station for 84 years. It unveiled a $20M restoration of the station’s main hall last year and announced plans to redevelop the office space into a boutique hotel.